Smartwatches are electronic gadgets that look like a computerized wrist watch but possess functionality that is beyond just timekeeping. 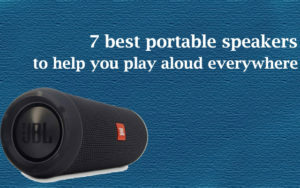 They can act as FM radio, portable media player, and even run mobile apps. Though relatively new in the gadget space, the smart watches are making rapid improvements in their functionality and ease of use. 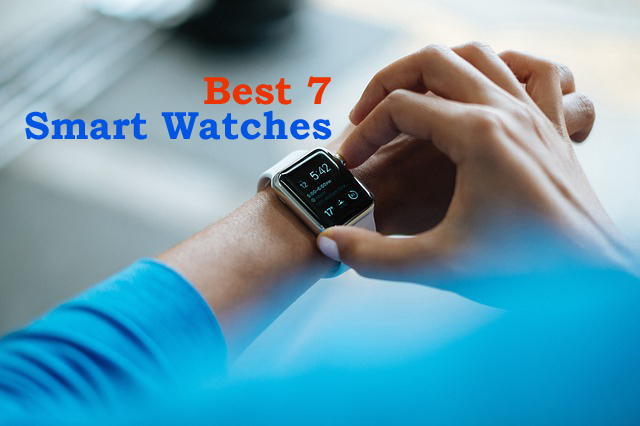 We bring you the salient observations from best 7 smart watches. The Fitbit Blaze is a revolutionary smart fitness watch designed specifically for the fitness freaks. With advanced technology that comes in a versatile design, this device tracks your workouts, monitors the vital performance stats and measures your progress. The PurePulse Heart rate technology helps elevate workouts with continuous heart rate tracking. 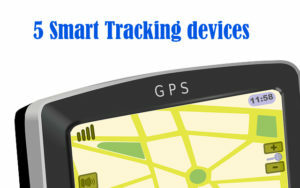 You can also connect this device with the GPS on your smartphone to map the routes you take and check the stats like speed and duration. The FitStar workout add-on on your tracker gives you step-by-steps instructions and coaching. The device features multi-sport modes that include running, biking and cardio. Needless to say, you can see real-time stats for each of these modes. 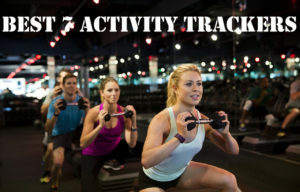 The SmartTrack feature automatically detects the exercise you are doing and records the stats for it. The Workout goal and summary gives you an on-screen summary for each workout once done and shows the progress in the Fitbit app. It also has the auto sleep tracking that tracks the sleep time and otherwise helping you to tweak your habits for a good night’s sleep, and the Silent Alarm to wake you up when you want it to. Other features include the call, text & calendar notifications once synced to your smartphone. 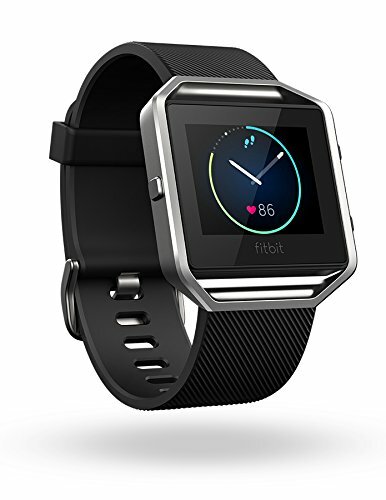 The Fitbit Blaze Smart Fitness watch measures 10 x 1.7 x 0.4 inches and weighs 1.4 ounces. The battery in this device lasts for 5 full days after a complete charge. This device indeed helps you get the maximum out of every workout. The Apple Watch Sport is a premium smartwatch that takes you a step ahead in technology that only an Apple product can do. 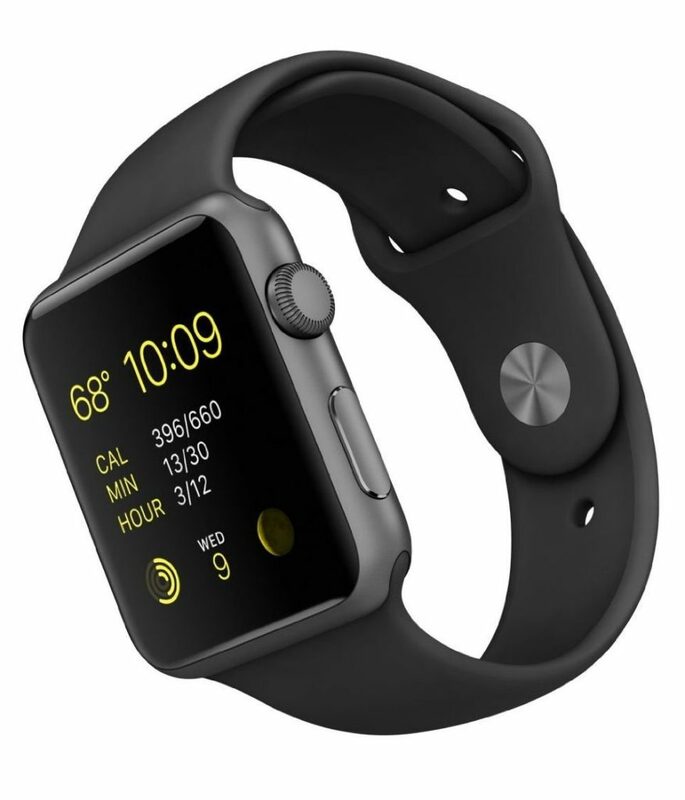 Apple devices are known for their build quality and innovative features, and this smartwatch does not disappoint you. This versatile, wearable gadget enables you in organizing your daily activities efficiently and in achieving your full potential. The watch with a unisex design is a virtual assistant on your wrist. Wearing this Apple smartwatch, you can receive calls, make calls, dictate text messages and send them to your friends, call a taxi, browse through apps, and even track your fitness activity. 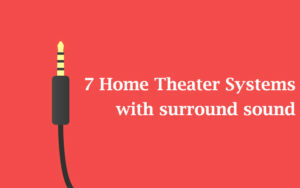 All these could be done without the need to even take out your smartphone. The Digital Crown on the Apple Watch Sport helps you swipe through app icons on the 42mm Ion-X OLED Retina display and the button on the side gives you easy access to your preferred contacts. Moreover, with its help you can send personal messages to your friends or even your heart pulse via taps to anybody else who uses the same gadget. The unique Taptic Engine is designed to give you delicate and fully customizable nudges when you get a notification. With a battery life of up to 18 hours, the Apple smartwatch lasts long during your daily routine. Possessing an internal storage of 8 GB, the initial operating system in this device is watchOS 1.0 while the battery in the device has a capacity of 246 mAh. The device fits wrists of size ranging from 140–210 mm. It measures 1.6 x 1.4 x 0.4 inches and weighs 2.2 pounds. This Apple smart watch requires an iPhone 5 / 5c / 5s, SE, 6 / 6 Plus / 6s, or 6s Plus and iOS 8.2 or later. The sensors in this device include ambient light sensor, accelerometer, Heart rate sensor, and gyroscope. Connectivity options are through Wi-Fi – 802.11b/g/n 2.4GHz and Bluetooth 4.0. The Apple smartwatch has a IPX7 rating for water resistance. So the occasional splashes should not bother you. In the box you get the Apple Watch, USB power adapter (5W), Magnetic charging cable (2 m), Band (Sport Band includes band that can be configured for either S/M or M/L length), and a Quick start guide. The Samsung Gear S2 smartwatch sports a sleek and intuitive design accentuated by a classic style with a ceramic bezel, and a 20mm genuine leather band. It houses an intuitive circular interface, and a rotating bezel for easy navigation. It gives you the luxury to access important notifications, text messages, and updates at just a glance. This smartwatch hosts a built-in fitness tracking besides having the option to personalize the interface with customizable faces. The manufacturer suggests that this device is most compatible when connected with Samsung Galaxy devices. The built in fitness tracker tracks your steps, check your heart rate, water vs caffeine intake and even gives you a nudge when it’s time to start moving. The Gear S2 classic is IP68 rated to withstand dust and water and is also sweat resistant. This is designed for daily use so you can get the most out of your workouts and confidently wear the Gear S2 classic anywhere. This smartwatch possesses a 4GB internal storage and is powered by a 1.0 GHz dual core processor. The connectivity options include Wi-Fi 802.11 b/g/n 2.4 GHz and Bluetooth v4.1, Bluetooth Profiles supported are A2DP and AVRCP. This smartwatch is compatible with Android operating system version 4.4 or later with 1.5GB RAM. Some features may not be available in some phones. The device measures 1.7 x 1.6 x 0.5 inches and weighs just 7.4 ounces. In the box you get Samsung Gear S2 classic, watch strap (large size), Additional watch strap (small size), wireless charging dock, a travel adapter, and a Quick start guide. As the name indicates, the Motorola Moto 360 is designed for Sport and hence is durable. 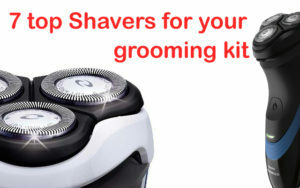 It has a strong silicone build that avoids sweat and resists staining or fading. 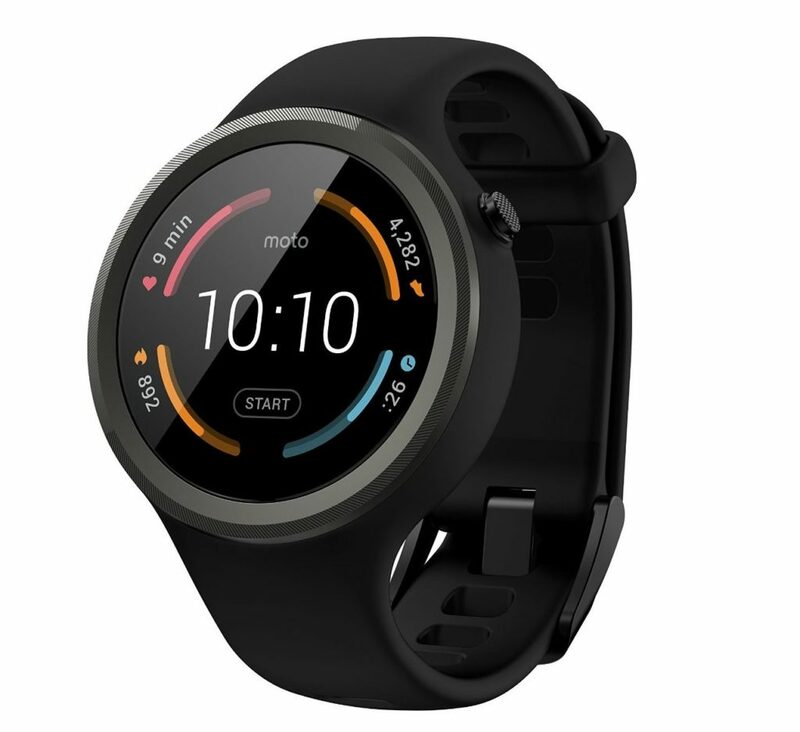 The Moto 360 Sport features a LCD touch screen supplemented with a Gorilla Glass 3 for that extra toughness. You can track your performance with the built in GPS and a host of other features like Activity tracker and an accurate heart rate monitor. This smartwatch can display notifications, cards and many more. You have customizable Watch Faces to personalize the device according to your personality. The device is Water Resistant to 3-ft making it a companion almost anywhere. Thanks to the integrated GPS, it can give you a button-free voice control and turn by turn navigation. If you tell your Moto 360 Sport where you want to go, the step-by-step navigation instructions in the watch display will guide you to your destination. The Navigation instructions that you set up on your smartphone will also be displayed in your smartwatch. The display is of hybrid type that makes it easy to read indoors and out. This smartwatch works on the Android Wear OS and is compatible with Android and iOS. It requires a phone running Android 4.3 and above, or iPhone 5 / 5c / 5s, iPhone 6 / 6 Plus with iOS 8.2+. Features may not be the same between Android and iOS platforms. The device has a 4 GB internal storage and is powered by a Qualcomm Snapdragon 400 with 1.2 GHz quad-core CPU (APQ 8026); Adreno 305 with 450MHz GPU. The dimensions of this device are 1.6 x 0.5 x 0.8 inches and it weighs 14.4 ounces. The sensors in the device include Accelerometer, Barometric Altimeter, Gyroscope, Vibration/ Haptics engine, and Ambient Light Sensor. The device is equipped with a 300mAh that lasts full day of mixed use with the ambient feature on. This is a full featured smartwatch that would give the big boys a real run for their money! The Pebble time smartwatch provides you one of the best interfaces in a smartwatch that you can think of. 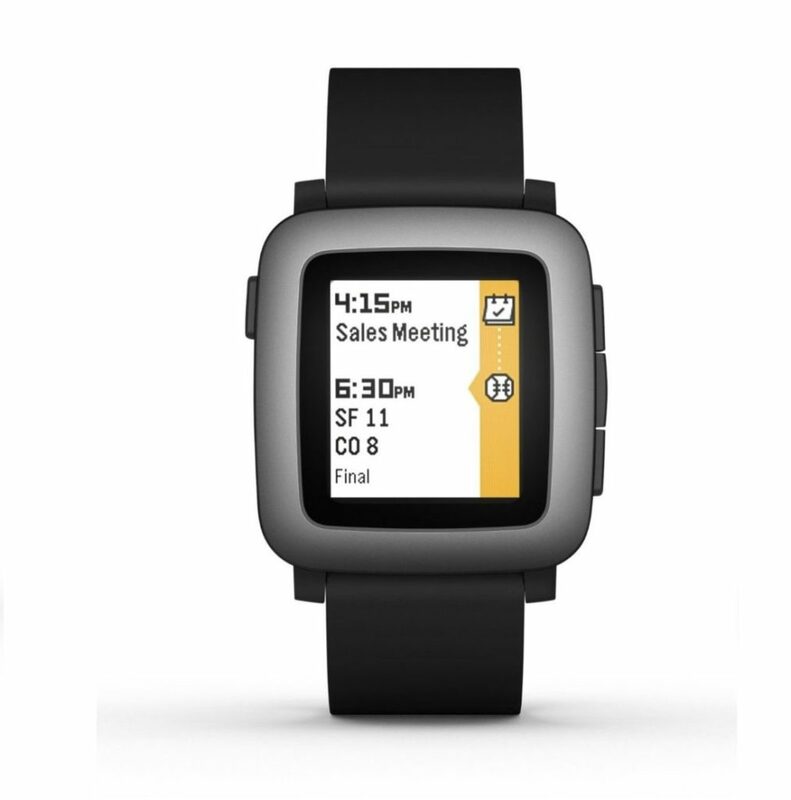 Pebble Time lets you act presently, reflect on the past, and look into the future. The Pebble Time smartwatch sports a new color e-paper screen and a thin, comfortable ergonomic design making it the companion you will want with you during every moment of the day. Pebble Time works well with Android and iPhone smartphones. The device is water resistant and weighs only 42.5 grams and is just 9.5 mm thick. With this device you get notifications at a glance for text, emails, calendar events, incoming calls, and other alerts. It includes Pebble Health, a built-in activity and sleep tracker that provides you daily reports and weekly insights. The device is water resistant to 30 meters which makes it your perfect companion even in not so dry environments. 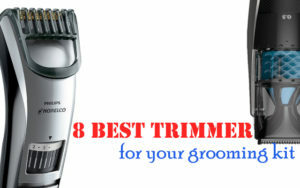 It also sports a built-In microphone for quick replies and voice notes. You can also personalize the watch face by choosing from thousands of watch faces and apps in the Pebble App Store. All these come in a very strong case that houses the Marine Grade Stainless Steel bezel with PVD coating, matte and polished finishes and a tough 2.5D glass display raising no questions about the build quality. 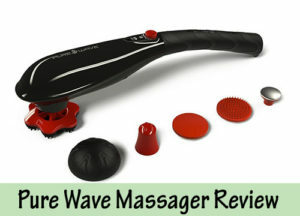 For easy and eyes-free control the device has tactile buttons and for discreet alarms it has a vibrating motor. With up to 7 days of battery life, Pebble Time is always ready and waiting. Whether you’re into sleep tracking or trail trekking, live life unplugged and never stress about the next charge. It charges very quickly via a proprietary cable that secures to the pins on the back of the watch. The Pebble time works with iPhone 4S and above running iOS 8. On the Android front it works with all devices running 4.0 (Ice Cream Sandwich) and above. The device measures 4.6 x 2.5 x 4.6 inches and weighs a measly 7.4 ounces. You would love the LED backlight on this device and the wide compatibility it offers with both devices as well as app and watch faces in the Pebble app store. The Samsung Gear Fit Smart watch keeps a track of your activities all through the day making it a 24/7 companion. Thanks to the IP7 rating, it features both dust and water resistance making it perfect for adventures and not so hospitable environments too. The 1.84 inch curved super AMOLED display is a delight while the lightweight and durable design makes it the perfect choice for active lifestyle. You can view emails, text messages, and alerts all on the display and dismiss calls with a tap. The alerts from third-party apps can also be customized. Sensors include Heart Rate monitor, Accelerometer, and Gyroscope. The fitness features include pedometer, heart rate tracker and exercise coach that helps you achieve your fitness goals and keeps you motivated to do more. The battery has a capacity of 210 mAh and lasts up to 5 days. The Gear Fit can be paired via Bluetooth with Samsung Galaxy S5 / S4 / S3, Samsung Galaxy Note 3 / Note 2 and Samsung Galaxy Mega. In the box you get Samsung Gear Fit, charging cradle, wall adapter and quick start guide. The device measures 0.92 x 2.26 x 0.47 inches and weighs just 0.06 pounds (0.96 ounces). Weighing less than an ounce, this would well be the lightest smartwatch with features that others would envy. If you own a Samsung Galaxy S3 and above or Note 2 and above, this device is the perfect companion. Huawei has designed this premium watch, keeping the classic luxury watch designs in mind to refine what we can expect from the present day smart watches. The company has combined the Android wear with the classic and elegant craftsmanship to produce a new standard in the smartwatch market. 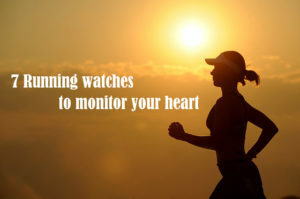 The watch tracks your heart rate and helps you to avoid uncomfortable chest straps. 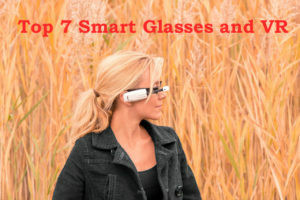 The device also has sensors to track activities; be it walking or running or hiking. The sensors included are Heart Rate, Accelerometer, Gyroscope, and Barometer. The connectivity technology used are Bluetooth 4.1 and Wi-Fi. 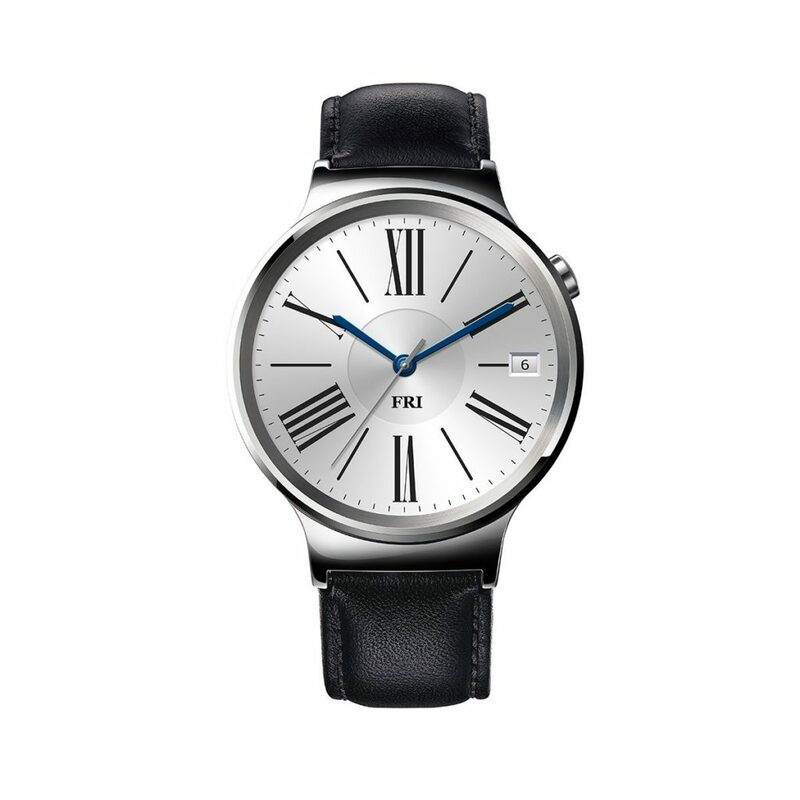 The Huawei Watch is equipped with a 1.2 GHz Qualcomm Snapdragon processor with 512 MB RAM and 4 GB ROM. The AMOLED display of the watch is protected by a scratch-resistant sapphire crystal and metal body (stainless steel). The circle shaped display has a diameter of 42 millimeters with 400 x 400 pixel resolution and a thickness of 11.3 mm. The overall weight of the device is 60.5 grams (2.12 ounces) and the band has dimensions of 180mm x 21 mm (L x W). The band strap is made of fine leather. The 300 mAh battery included last for 2 days. The box contains the watch, Magnetic Charging Cradle, AC adapter, and User Manual.